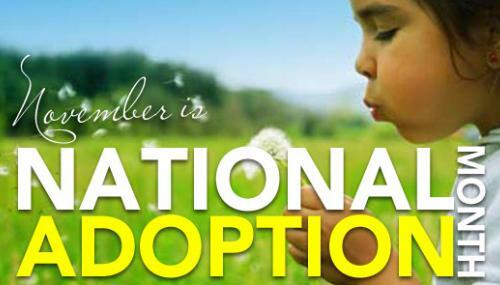 Did you know that November is National Adoption Month? It is a wonderful opportunity to spread the word about the orphan crisis we face today. There is no populated place on this planet where this crisis is not present. According to the UNICEF 2010 report on orphans, there are 153 million orphans in the world. You may have heard this before. It is not new. But it is real. If you factor in the world’s street children, trafficked children and orphans from countries that do not track their numbers, the number would reach 200 million. That’s a huge number that is hard to get your head around. Here is a word picture from the book The Global Orphan Crisis to help you see it. If the world’s orphans could link arms and stand shoulder to shoulder there would be about 1,700 orphans per every mile. If you drove past these precious children at sixty miles an hour passing 1,700 orphans every mile, you would have to drive nonstop, 24 hours a day, for more than two months before you reached the last child in line. Hard to believe isn’t it? If orphans were their own country, they would be the sixth largest nation in the world. When you think of that in terms of missions and the gospel, orphans are one of the most unreached people groups in the world. The magnitude of the need of the orphan is overwhelming. It’s almost like one person trying to drain the ocean one thimbleful at a time. However, I have great encouragement for you. Remember Nehemiah faced the huge task of rebuilding the great wall around Jerusalem. It had been ravaged by war and devastation and the wall that once gave the people of God protection and shelter was demolished to the point that not one stone lay upon another. The people were left weak and vulnerable. It was an insurmountable task for one person or even a few people. But God gave Nehemiah a heart to do it. Nehemiah, moved by the wise and mighty hand of God, rallied the people and had them be in charge of the part of the wall that was closest to their home. Each man rebuilt and strengthened the wall in his own back yard until the entire wall was completed. The Lord strengthened their hands and gave the people a mind to work. Often facing criticism and opposition, the builders kept their swords strapped to their waist and were always ready to both protect and to build. We may face opposition, too. The enemy is never happy about bringing lost souls into the family of God. We must be diligent to work and diligent to stand on the truths of God’s Word if and when we face obstacles. God moved in the heart of one man to ignite the hearts of those around him to join together in rebuilding what was broken. He proclaimed the need and rallied the people; and, because of their hard work and diligence in answering that call, many were saved. In the same way, we can encourage our churches this November to recognize Orphan Sunday and consider taking on the orphan crisis in their own back yard. Pray that God will ignite your heart to rally your church to provide protection and safety to the vulnerable fatherless children in your neighborhoods. 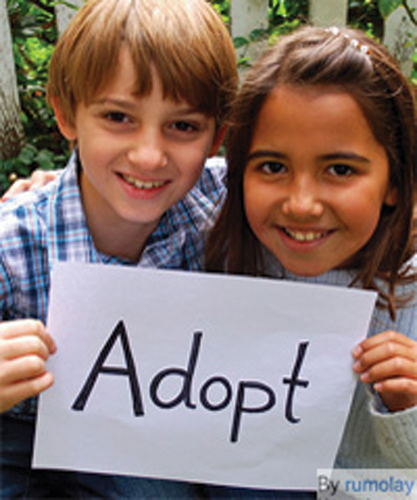 Consider doing some research and educate yourself on how many foster children are available for adoption in your community. If your church would be interested in helping to meet the needs of orphans, you can find resources to help here…….Launching an Orphan Ministry in Your Church by Hope for Orphans. Orphan Sunday, the first Sunday in November, is a great time to do this. You may also want to provide your pastor with a copy of the book Orphanology. May God bless your efforts and bless the fruit of your hands!